Wall Hanging Robin’s Nest DT | Who Are You Calling Crafty? Don’t forget about the Third Page Map Challenge. If you would like more information on how to enter and what you can win please head on over to the Robin’s Nest Blog and check-out the Challenge Post. 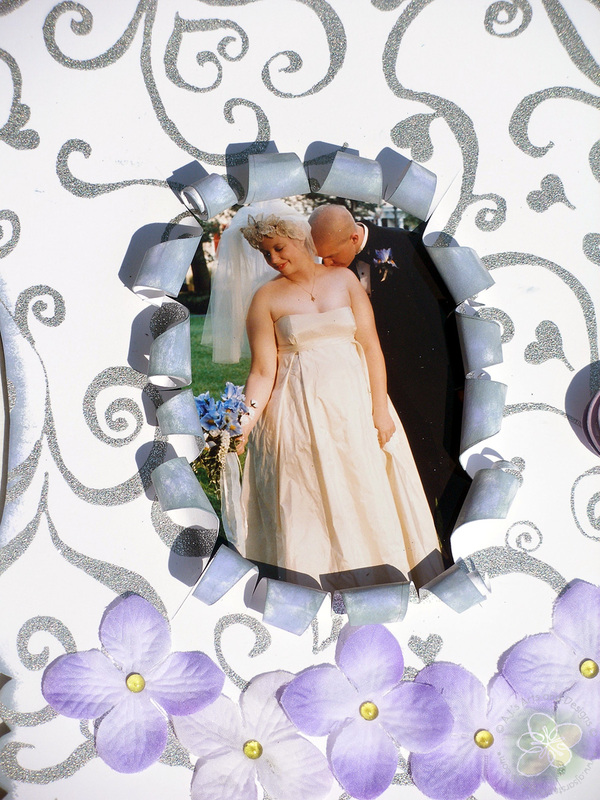 I really wanted to do something with a specific photo from our wedding. 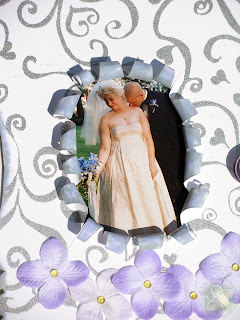 Orginially I wanted to do a scrapbook page but I decided a wall hanging would be really cool using the Want 2 Scrap products. To create the window I drew a X pattern on the back of the paper and cut with and Exacto Knife. Taking the end of a paint brush I curled the paper. 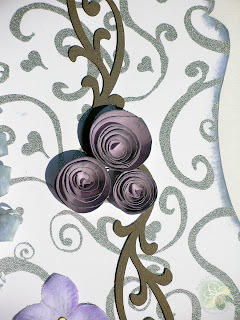 I added Weathered Wood and Shaded Lilac to the curled part. 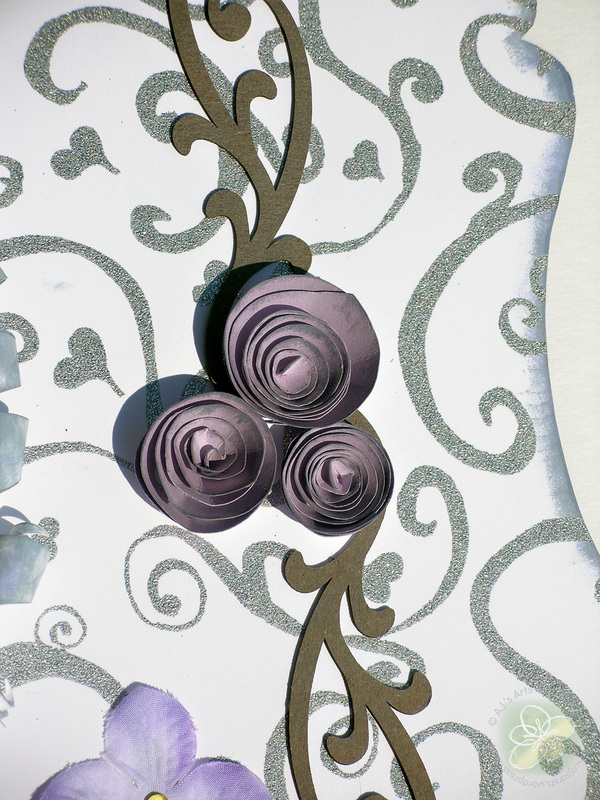 I rolled the flowers and added Weathered Wood to the edges of the flowers to create the “popping” effect. 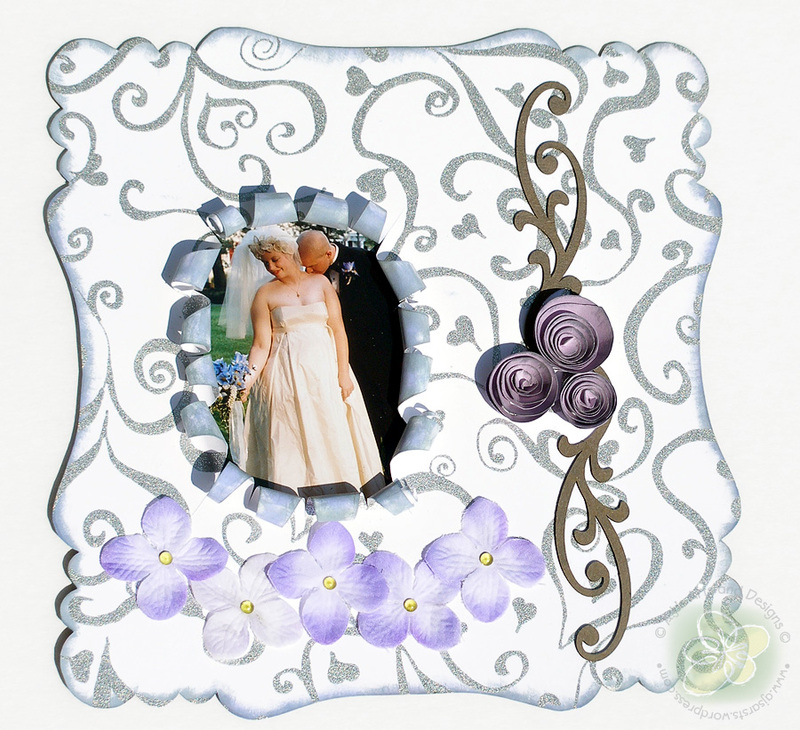 I also added Shaded Lilac to the embellishment pieces from Want2Scrap.